ColorWare、24金のAppleロゴをあしらい筐体は大理石風に仕上げたカスタムモデルのMBP「MacBook Pro Marble 15″ with Retina」を約90万円で発売。 | AAPL Ch. 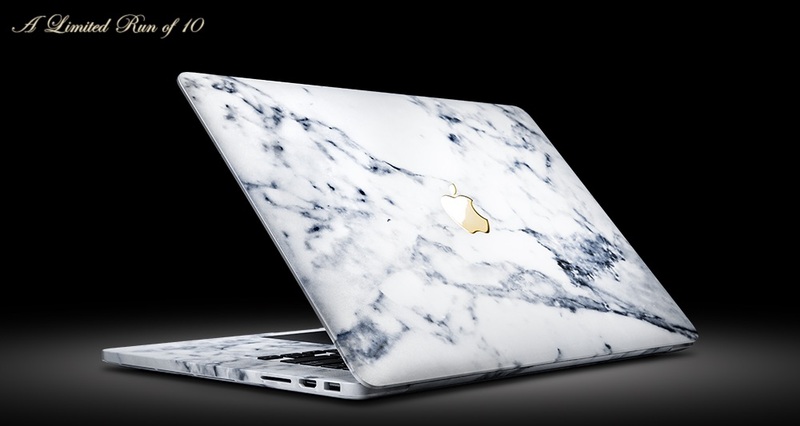 The MacBook Pro Marble is a beautifully handcrafted 15″ MacBook Pro Retina with the look and feel of marble. Although it’s a specialized art application technique, it appears to be chiseled from a solid block of marble with rounded edges smoother than a Roman sculpture.